Black Lake [elev. 10,620 ft] under an overcast sky. The mountain at right is Chiefs Head Peak - the chief is reclining with his nose at the right edge and chin a bit to the left. Looking north towards the Mummy Range from Glacier Creek Trail. The moon above a cloud bank lit by the rising sun. The approach to Mills Lake, with McHenry Peak in the distance. Black Lake lies just below McHenry Peak. From the foot of Jewel Lake. Planks provide a way to traverse a soggy marsh. Looking back down Glacier Gorge from the edge of Black Lake. Link. Published on October 13, 2014 by Mark Johnston. More photos from summer in the Rocky Mountains. The view back towards Forest Canyon and Trail Ridge Rd. from the summit of Mt. Ida. Mills Lake, Glacier Gorge, Rocky Mountain National Park. A Bighorn ram forages above the tree line. A creamy lump of quartz sits among the boulders near Mt. Ida. Panorama from the top of Twin Sisters Peak. Mt. Meeker and Long's Peak at left, Estes Park at right. Equipment from the abandoned Eugenia Mine, on the way to Estes Cone. An Elk bull looks down on the tree line. 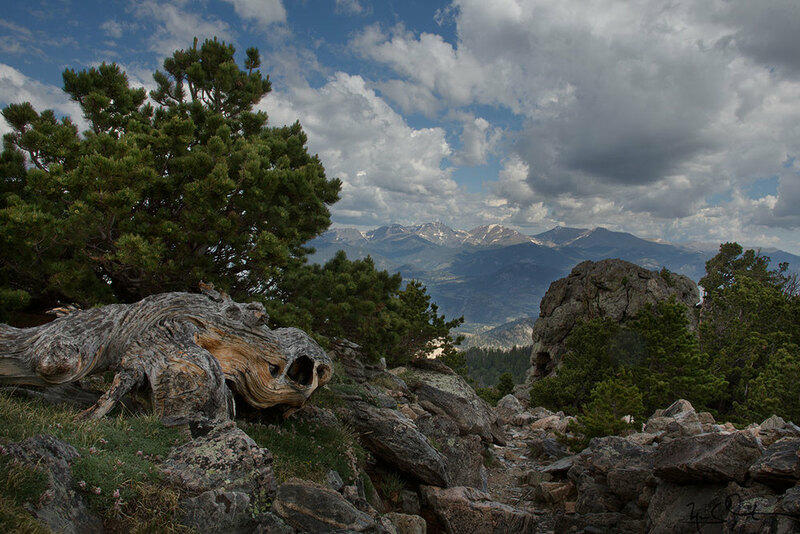 Panoramic view from the top of Estes Cone. Rt. 7 below left, and Mt. Meeker and Long's Peak at center. Hatchling praying mantis on a young pine cone. 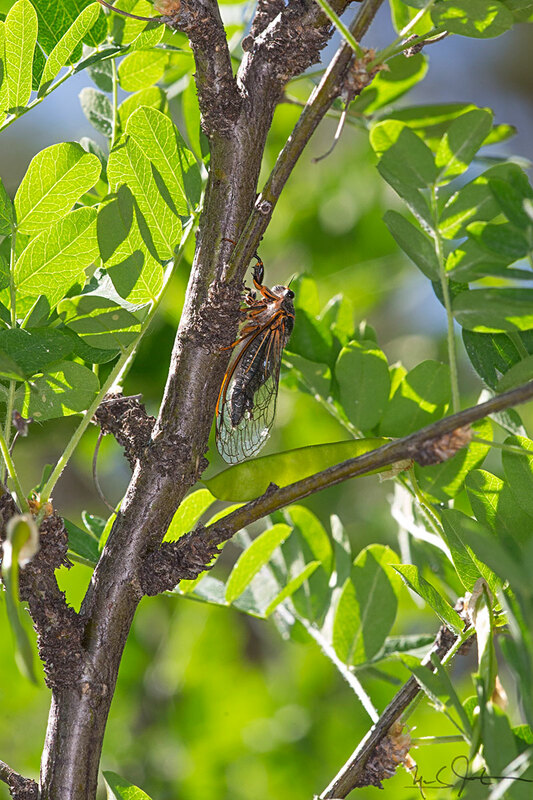 These cicadas use their wings to make a distinct snapping or clacking sound high in the trees. 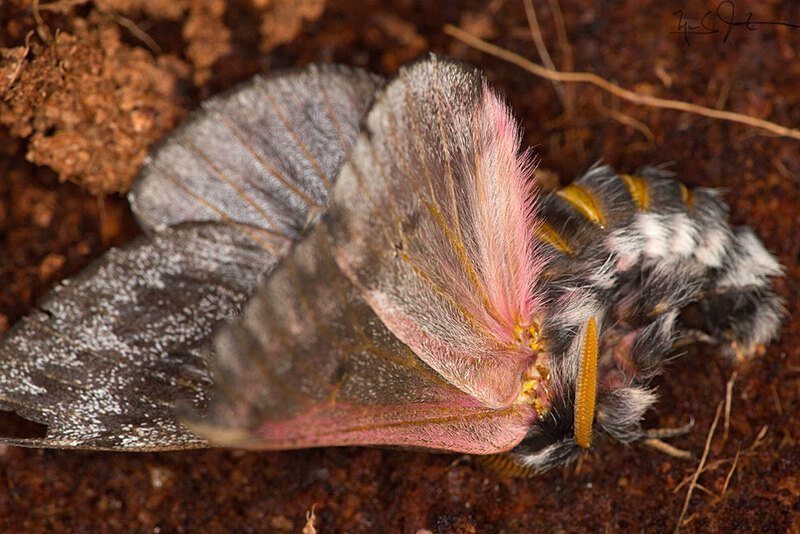 Some moth species fake death by extending their abdominal segments and wings, revealing brightly-colored areas, and remaining motionless. Looking west towards the Continental Divide from near the summit of Twin Sisters. The Colorado State Flower, Columbine. New fruit on a conifer. Young black bear on the trail. Columbine blossoms in blue and white. A glimpse of Emerald Lake from the Flattop Mountain trail. Link. 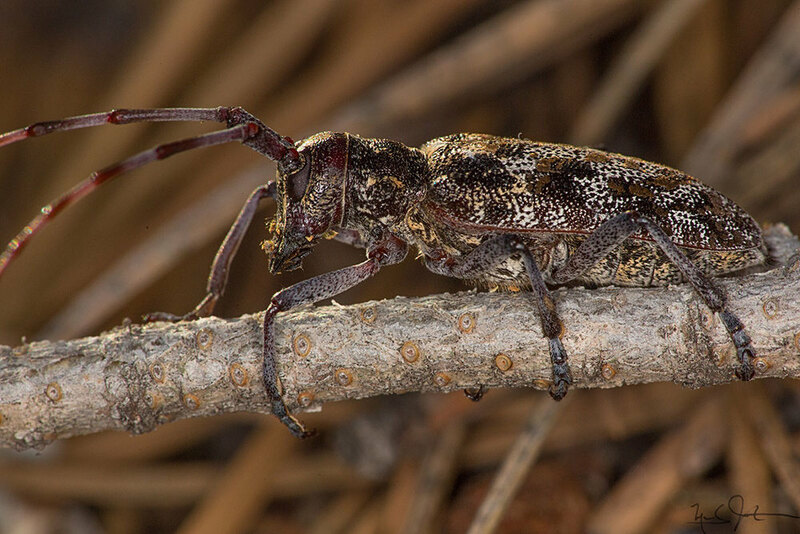 Published on July 31, 2013 by Mark Johnston.